DIY Glitter Floor Instructions - Glitter My World! First off we have to make it clear that doing a glittered floor that is going to hold up to foot traffic is not a cheap, fast or easy project. To do it right and have it last, you are looking at quite a process. There are different ways to do a floor as well. You can do full coverage or glitter accents. The full coverage floor is going to be a lot more work and take a whole lot longer. Before we go any further be sure to test, test, test your glitter and sealing products together before beginning any project. We also cannot guarantee any of the products mentioned on this page. There are too many factors beyond our control. Smooth cement floor- ready to roll. Rough cement floor- needs prep to last. 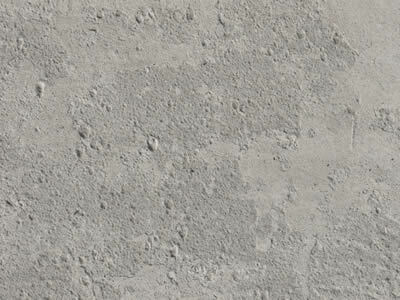 CEMENT: Some of the best glitter floors are done on smooth cement. 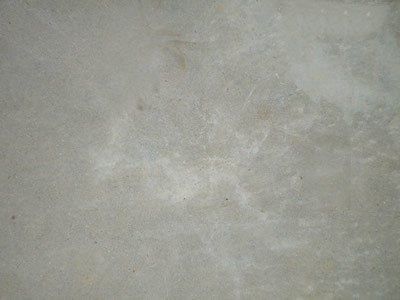 If you have a rough cement floor you may be really unhappy with the results. What happens with pitted floors is that the clear top sealer wears off the high spots, but stays in the low areas with foot traffic. This wear exposes the glitter which will flake and it looks terrible. To smooth your cement you can rent/hire a cement grinder and make your floor smooth or you can fill in those pits with a commercial grade filler. You can also use a non-water-based Epoxy Coat sealer that will fill in most pits. These types of sealers usually offer an amazing shine when dry. If your floor does not need to look good for years then the surface does not matter too much. It is the wear over time that is the issue with pitted/rough floors. Before you can glitter and seal your floor your cement floor needs to be cured and dry. If there is moisture in the cement it will not seal well at all and you will have wasted a lot of time and money. WOOD/LAMINATE: Wood floors can also be done and you will need to follow the same rules- make sure it is as smooth as possible. If you have stains be sure to either sand them or seal them (especially if they are oil stains). LINOLEUM: Not recommended for heavy traffic, but it can be done. Most linoleum is not totally smooth so you will eventually be recoating the surface when the high spots wear down. Doing some extra coats will buy you some time before needing to re-coat. Be sure to ask the salesman for an appropriate (non-water based) sealer that is OK for linoleum. BIG NOTE ON FLOORS: If you are going for a professional look then call in the professionals or at least have a really big chat about sealers before you start. Tell them about your floor surface and see which sealing product is best. ALWAYS TEST YOUR PRODUCTS BEFORE YOU START! Contact us for samples, talk to us before you begin. A floor is a big and potentially expensive project. After making your floor smooth, you will want to make sure you do a very good job cleaning the floor. You then have a choice to make- base paint or not. 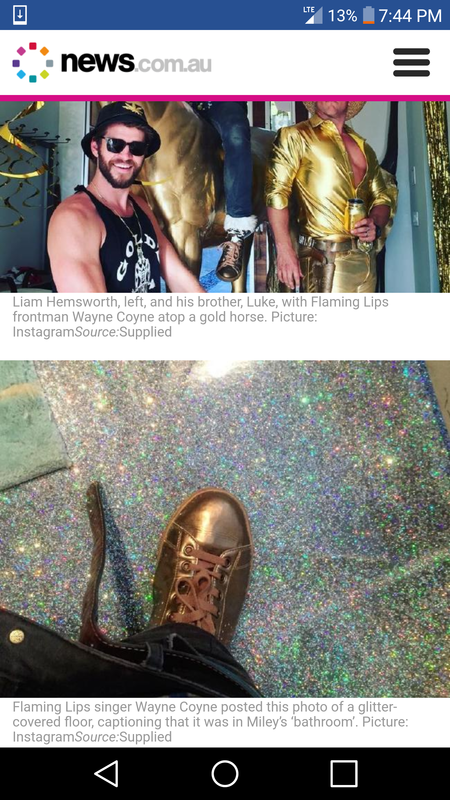 For example: If you are going to do a gold glitter floor then painting your floor a golden yellow color is a great idea (purple glitter- purple paint and so on). By doing this, you can use slightly less glitter and also if there are small spots where the glitter did not attach, you will not see an ugly floor peeking out. Your local paint store or Home Depot will be able to sell you paint that appropriate for cement/wood/linoleum. A second reason to base paint is that the paint becomes an adhesive for the glitter. Glitter sticks to paint and as the paint dries the glitter becomes trapped in the paint. Don't mix it in though. Just throw it on top of the wet paint. 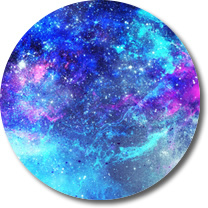 The type of glitter that you will want to use on your floor is glitter that solvent resistant and epoxy coated. Our metallic & holographic glitters are just that. Beware of cheap glitter! It may not be epoxy coated and you can run into big issues. If you have chosen to go for full coverage and you have carefully swept all extra glitter off the dry floor, you are now ready to seal. This is a process and takes time to get right. There are tons of products on the market and some are better than others. If you are doing this for your home then the floor sealing products offered at Home Depot should be good enough (avoid water based sealers if you go with the Metallic glitters we sell). If you are doing this floor for a commercial project then Epoxy Coat or similar is the way to go. More expensive, lots more prep, but way more durable. If your floor is not super smooth then this type of epoxy will help fill in the pits. It really is a product for the pros. Sealing- It is always best to follow the instructions that came with the sealing product you select. With most products, they are going to recommend either brushing, rolling or spraying. Whatever method you choose your first one or two coats may still have some loose glitter coming to the surface. The final coats should take care of that issue. BIG NOTE ON SEALERS: If you are using our Metallic glitters you need to make sure that whatever sealer you use is not water based. If the page has been a bit overwhelming so far, then maybe doing accent coverage is more your style. A lot can be done with accent coverage and the effect can be just as dramatic if done correctly. The best accent jobs are those done on darker floors. 1. Prep your floor surface. 2. Paint your floor (dark colors work best). Let dry- really, really dry! 3. Find a non-waterbased sealer and mix the glitter into only part of it (enough to do one coat at least). Mix well and mix often as you work as the glitter will settle a bit in the can. 4. Roll, brush or spray the sealer/glitter mix onto the floor. Note: Not all glitter flake sizes can be sprayed. 4a. If you feel you did not get enough sparkle on the first coat you can do a second coat before beginning the clear sealer top coats. 5. Take the remaining plain (non-glittered) sealer and begin laying down more coats until you have totally sealed the floor and it is smooth (may take 2-4 coats). Follow re-coat instructions on the can. 5a. You can also do a "pour coat" rather than multiple sealer coats. Not all sealers will self level so if you want to do a pour coat be sure to get a high quality expoy. Note: We highly recommend using the five solvent resistant Iridescent glitters found on this page of our glitter website. They are clear with an iridescent sparkle which will really bounce when light hits it. Only the first 5 listed on the page are solvent resistant. 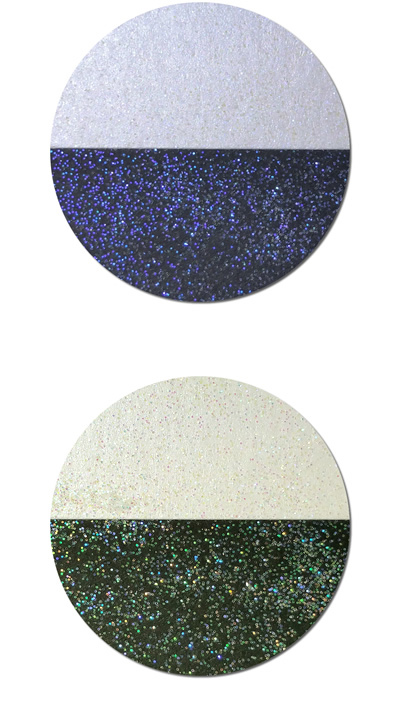 The images to the right show you what the same Iridescent glitter looks like over a white painted floor and a black painted floor. This is why we recommend dark colors. They really pop! Flake size: Most people like to go with a larger flake (0.040) for floors, but if you want a more subtle sparkle then you may want to go with the ultra fine (0.008). If you decided to paint then feel free to use the wet paint as your adhesive. Paint an area (always keep a wet edge), then apply the glitter, paint some more, apply glitter and so on. For total coverage, you will be buying a lot more glitter than you actually need. You will be tossing glitter into the air and letting it drop onto the wet paint. It is best not to throw it sideways as you tend to get streaks. When the paint dries you will take a soft brush to remove the extra loose glitter that did not stick and remove it. This is an important step or you will be miserable when trying to seal your floor. If you do not paint first, then lay down a sealer coat and do the glitter toss OR you can mix the glitter into a portion of the sealer and apply that mixture (may have to do multiple coats). Be sure to follow the sealer manufacturer's instructions regarding multiple layers. If you did not sweep your loose glitter the first coat of your sealing is going to be a nightmare. So, sweep and sweep again. If you end up with open areas do your best to treat them. If there are too many then take some glitter and mix it into your first coat of sealer. This will not only lay down more glitter, but it will also begin the containment process. The first one or two coats will trap the glitter. The final 1-3 coats will begin to build up and give you a nice flat surface. Be sure to follow the instructions on the container as to dry time, re-coating time and clean up. Note: Not all sealers give you the same look! Some sealers will give you an antique look the more coats you put on. If this is something you want, great. If not, be sure to discuss this will your paint store specialist when purchasing. He should be able to recommend a non-yellowing product. Also, most people want a high gloss finish to make the glitter really pop. Note: Do your best to avoid water based sealers. Our Metallic glitters really do not like them. They like solvents. ​Pour Coats: Really good quality floor sealers are sometimes done as pour coats. This is when you mix up a large batch of Epoxy sealer, pour on the floor and use a large squeegee to spread it around. It then "self levels" into a thick clear coat. If you use this method you still may have glitter come up to the surface. If this happens a second pour coat can be done (if you use a high quality epoxy). This is an off-site blog written by a self-proclaimed glitterholic (so of course we love her). See her glitter floor results and techniques. Very in-depth and covers the "antique look" and more. She gives step by step instructions and even a short little video. She is fearless! Note: This version of a glittered floor would not be appropriate for a commercial situation. It is for normal traffic floors. OVERWHELMED AND NEED TO CALL IN THE PROS? The Decorate Concrete Kingdom site offers a lot of information on floor coatings and a long list of contractors that are sealed floor specialists. You can find their site here: http://www.decorativeconcretekingdom.com/ They have post a short video of a glitter floor they finished with great results. Excalibur recently did an install for Miley Cyrus that they shared with us. Looks like a big job with great results. 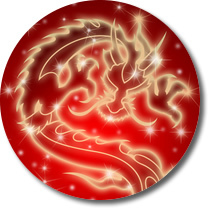 ALL INFORMATION GIVEN ON THIS PAGE IS OUR OPINION AND BASED ON OUR SITUATIONS AND EXPERIENCE. IT MAY OR MAY NOT BE SUITABLE FOR YOUR SITUATION. ALWAYS TEST PRODUCTS AND IF YOU NEED ADVICE CONTACT US AND THE COMPANIES THAT MAKE THE SEALING PRODUCT YOU CHOOSE.